The Virtual Boyfriend Version 3 - Virtual Ai boys that think. Now you can make your own boys even if you are not an artist. Don't get me wrong - you'll still need some of those creative juices but now you can bring any static 2D picture to life. It's just a picture. He doesn't blink or talk! 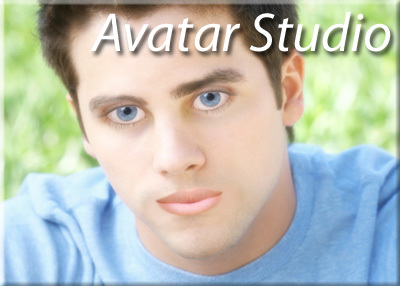 Lets bring it into Avatar Studio and give him some eyes that do blink and a nice mouth that does talk. We can change everything... the shape and color of his eyes, and the shape, type, and color of his lips! Now lets export it into Sergio! And now we have a blinking, talking, real boy you can chat with! Download As Soon as You Pay!